The time to transition is now. 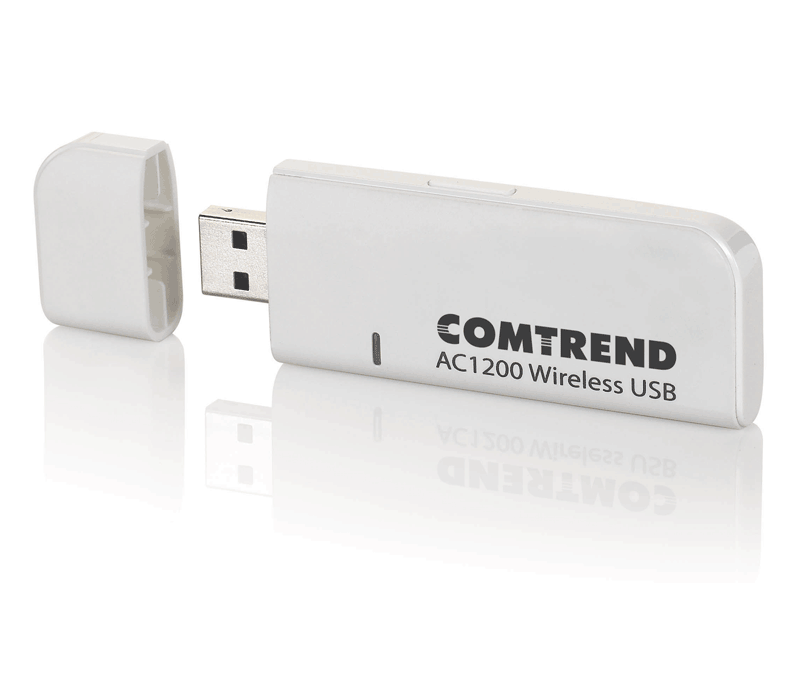 The Comtrend WD-1030 AC1200 Wireless USB Adapter offers next generation 802.11ac up to 3x faster than 802.11n technology. The AC1200 Wireless USB Adapter offers a marked increase in value with farther reach and improved performance. With devices such as mobile phones increasingly adopting 802.11ac, it is expected to completely replace 802.11n as the new industry standard. An 802.11ac wireless USB adapter will become a must have for providing the fastest speeds to your devices. Upgrade your 11n PC or Laptop to 11ac Technology A simple way to refresh your computer to support the latest wireless networking technology. 11ac is faster, reaches farther, and improves performance compared to 11n. 11ac supports both 2.4GHz and 5GHz bands giving your device the best performance options. Super Fast Transfer Speeds with USB 3.0 US 3.0 transfers data up to 10X faster than USB 2.0.